I stumbled upon the beautiful Crane Dance kimono (the peach one) by ethical clothing company Verry Kerry on instagram and there was no going back. I got it for myself as a Christmas present, and now I couldn’t resist the sale and ordered the Morning Song kimono (the red one) as an early birthday present. I mean, what would I do if one is in the laundry? Exactly. And what if they’re both in the laundry? I might need a third one. No, I actually really need to stay away from that website, because I’d find another one I want in a heartbeat. They are just so beautiful and make me feel so elegant! When the Crane Dance kimono arrived I thought for a second, “Oh no! That’s the wrong one!” but what I was looking at turned out to be a bag that the kimono was wrapped in. 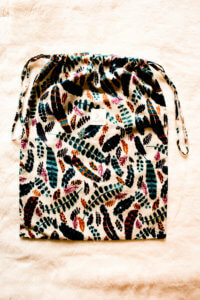 Clothes bags are the best invention ever for traveling if you don’t want to find an octopus made of clothes, tights and robe belt in your suitcase. My kimonos are made of 160 gsm bamboo which gives them a soft and luxurious feel. For me, the sleeves have the perfect length. They cover the arms but are not in the way when making coffee. 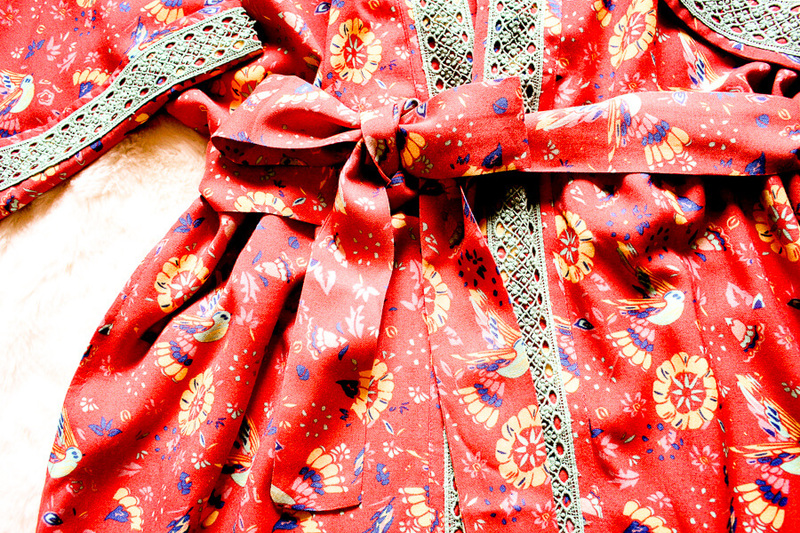 Verry Kerry’s kimonos are printed by hand with earth friendly dyes and are produced under fair conditions in India. The London-based company specialises in cool loungewear, such as long and short kimonos, tunics, pyjamas, etc., but also homeware, bags, and even laptop sleeves. Have a look at their website here. 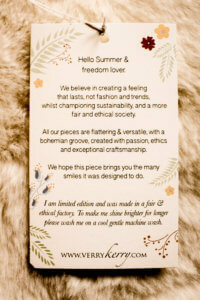 Would you like to see some more ethical fashion brands I like? Have a look here.